E-commerce sector in India is growing at a very fast pace. Most of us now prefer to order our essentials online rather than buying from any brick and mortar shop. The revenue from e-commerce sector is expected to grow from US $39 billion in 2017 to US $120 billion in 2020. The annual rate of growth in e-commerce industry in India is 51%, which is the highest in the world. Considering the growing popularity of e-commerce in India, Rahul Bahukhandi and Haifeng Yang(alias: Tim), founded LaYuva, in 2018. LaYuva offers high quality imported items to the Indian consumer. LaYuva imports goods directly from manufacturers in different countries of the world and sells this imported items in India at reasonable rates. LaYuva also has share and earn feature, wherein customers can earn money by sharing the products on social media platforms. Besides, it is the first of its kind e-commerce site in India that operates on a multilevel marketing model. We interviewed founder of LaYuva, Rahul Bahukhandi to learn and know more about the company. LaYuva's vision is to provide access to high-quality imported products and a better lifestyle for its users. Through its 'share and earn' feature and multi level marketing model, the company also aims to create entrepreneurs. Its mission is to build a one-stop platform for both sellers and customers where users can purchase premium imported household products and create an ecosystem which facilitates individuals to start and scale up their own multilevel marketing business. The Indian e-commerce market is currently pegged at $36 billion and is touted to exceed to100 billion US$ by 2022. Rahul Bahukhandi and Haifeng Yang. 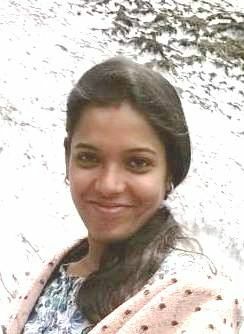 (alias: Tim) are the founders of LaYuva. Rahul Bahukhandi has rich experience in the mobile VAS and internet industry. He worked in organizations such as UCWeb, an Alibaba Group company and Baidu, one of the largest AI and internet companies in the world. Haifeng Yang whom Rahul met during his stint with UCWeb is a Chinese citizen who has diverse experience of working in the handset and mobile internet companies including Huawei, UCWeb and Baidu. The Company has a team size of 100 employees at present with around 35 of them based out of Gurugram office while the remaining operate from China. Any startup begins with a thought or idea to change a setting which is causing inconvenience to people at large. Rahul and Tim were having a discussion one day as to how customers have limited options of daily household products to choose from and the ones that are available are highly priced. Likewise, the sellers have limited quantity and variety of products to offer and have to incur a substantial cost for procuring the products. This discussion struck the idea in their mind. They thought that they could bridge this gap and make available a wide variety of high-quality imported products from international markets at reasonable rates to both customers and sellers. Rahul and Tim had rich experience of working in handset, internet and mobile VAS companies. So they decided to use this experience to create a platform which integrates the capability of the internet and provide the convenience to users and sellers to shop and sell from anywhere. They established connections with manufacturers from Europe, Asia, Australia and America, and started importing products directly from them without involving any middlemen. LaYuva is built in multilevel marketing model, which helps the users set up their businesses by optimally utilizing their offline and online connections. We want to appeal to the youth and encourage them to become entrepreneurs. That explains the use of ‘Yuva’ in our name. We associate ‘La’ with fun and hence the name that struck the chord was ‘LaYuva’. The Company’s logo comprises of 3 hearts which signifies – Supplier, Platform & Customer. While in most e-commerce platforms sellers register on the platform to sell products, LaYuva imports high quality products and premium brands directly from international manufacturers/brands. It imports products in the fashion, clothing, electronics, beauty and skin care, home utility and home decor categories. The company has a robust supply chain network which spreads across Europe, Asia, Australia and America. LaYuva is working with a network of re-sellers who promote their products, both online and offline. It offers cash back on every purchase to all the customers. 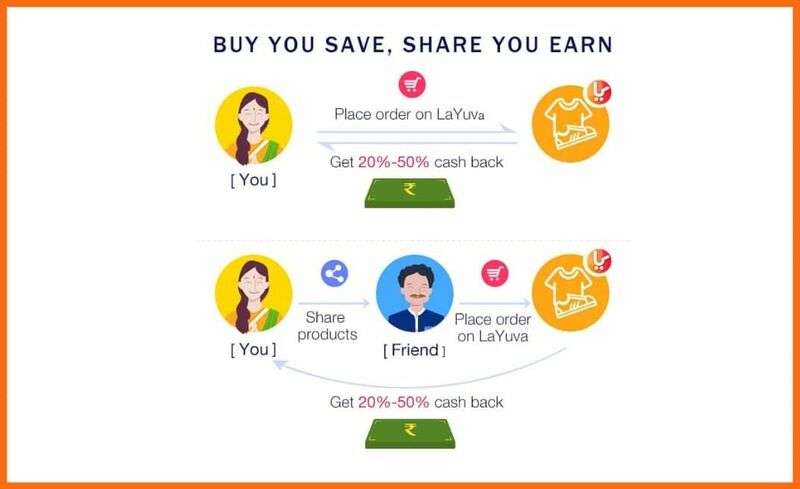 LaYuva is a share and earn platform and provides cash back to those who share their products on any social media snetwork and helps in sales generation. LaYuva recieved funding from Onion OMALL, a China-based cross-border e-commerce platform specializing in social retailing. The Company is using this fund to increase its product range and launch new product categories. It is also working to boost its supply chain network. The basic premise of LaYuva ’s business model revolves around MLM or Multi Level Marketing. A user can become an executive member by purchasing a goodie bag worth Rs 1990/- from LaYuva. In return the user gets a gift along with the cash coupons of worth Rs 2000. On becoming an executive member, a person can earn up to 40% of cashback on sharing or purchasing LaYuva’s products. The next level which an executive member can aspire to reach is manager which will require him to have 40 executive members, which includes at least 10 direct members under him. The other alternative is that the team's accumulated sales should be over Rs.1,20,000. In that case too, the person qualifies to be a Manager. On becoming the manager, the person will start getting 25% of commission of what the executives under him will get as cashbacks. Thus, the manager will start getting rewarded for the chain he has formed and all sales happening through his chain will earn him extra money by way of commission. A manager can become a director by having a team of 30 managers (either Direct/ Indirect) including him/her. Here too, the other qualifying criteria to become a Director is that the Manager’s team’s accumulated sales should be over Rs.50,00,000. Once the person achieves the target and becomes a director, he/she can start earning 25% commission of what his/her team will get as cashback. Over and above this, the director will also earn 25% commission of the management bonus received by all the managers in his team in addition to 25% of his manager’s (direct +indirect) settled monthly cashback. Every member, irrespective of their position will get 10% - 40% cashback in their wallet for every product they purchase or share. There is also instant incentive when any member builds his team and gets a new executive on board. When an executive gets another executive on board, he will get a cashback of Rs 500. Similarly, a manager getting an executive to join the team will get Rs 800 cashback for direct executive and Rs 200 for indirect executive. In the case of a director, the cashback amount increases to Rs 1000 in the case of direct executive. For indirect executive addition, the director will get Rs 200 cashback and when a manager under a director invites an executive under them, the director still gets Rs 100. As such one can simply start to earn money throuh share and earn with LaYuva. Or can register with it as an executive member and start multilevel marketing business to sell word class imported items. As is always the case the initial days for any organization is the most challenging. The major challenges faced by LaYuva were, hiring and retaining a stable team to take care of operations, identifying sources for importing products and managing the financial cash flow of the business. We managed to sail through all the challenges and have successfully completed one year of operations. Though there are many major players like Amazon and Flipkart in the e-commerce market, LaYuva is unique in its own way. While in most e-commerce platforms sellers register on their platform to sell products, LaYuva imports products directly from the manufacturers. Thus LaYuva procures imported goods at low cost and pass on the benifits to its customers. LaYuva has successfully expanded its customer base. It is now delivering products to Delhi, Noida, Ghaziabad, Chandigarh, Pune, Gurgaon, Nagpur, Mumbai, Ahmedabad, Kolkata, Bhubaneshwar, Indore, Bangalore, Hyderabad, Lucknow, Kanpur, Jammu & Kashmir, Ludhiana, Mohali, Gangtok, Nainital, Jabalpur, Chennai, Surat and Gandhinagar. The company earned a revenue of US $5,00,000 in 2018-19. LaYuva plans to expand its supply chain network to import quality products from more countries. Also, it's ready to sell products in other SEA countries apart from India. The company plans to add more product categories in the future.